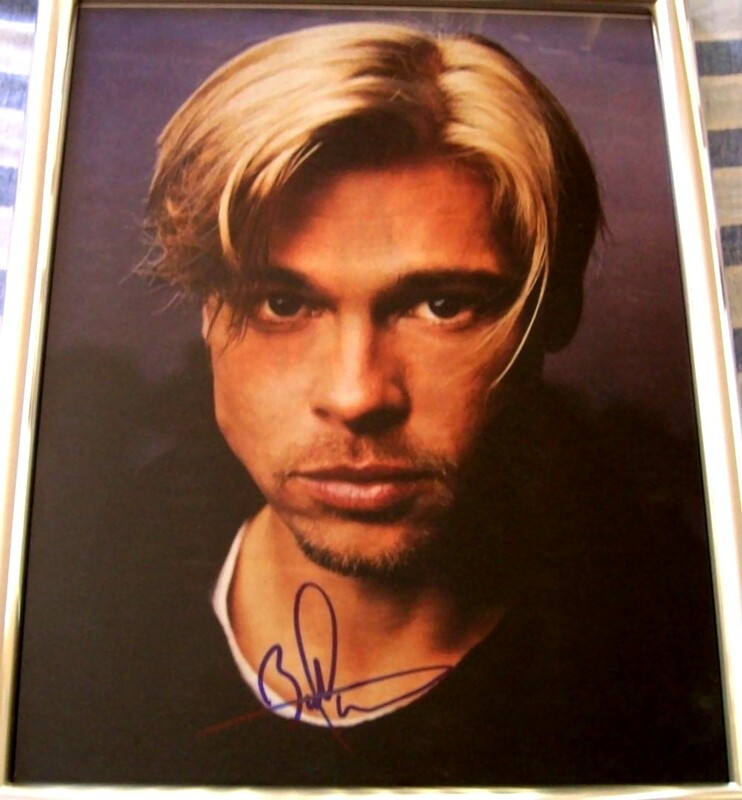 11x14 inch vintage color portrait photo autographed by Oscar nominated actor Brad Pitt in blue marker. Framed with glass in silver, ready to hang. With certificate of authenticity from AutographsForSale.com. ONLY ONE AVAILABLE FOR SALE.